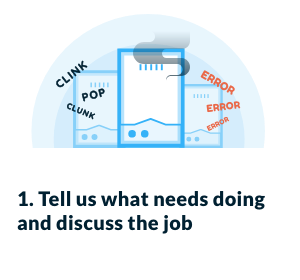 Whether it’s because you’re suddenly faced with the unexpected cost of hiring an engineer or because it’s an emergency boiler repair, it can be a very stressful time. 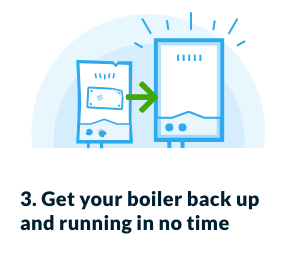 We’ve outlined the main options available to homeowners dealing with a broken boiler to help your home get back to normal as soon as possible. A one off boiler repair is common in emergency circumstances; for example when you’re unexpectedly left without heating and hot water in the middle of winter or you’ve got a water or gas leak in your home. You can hire an engineer to carry out a one off boiler repair as and when a fault occurs. In fact, many engineers offer an emergency call out service which could be available on a 24 hour basis. The cost of this could be based on the time the engineer takes to repair your broken boiler. In this case an engineer will usually estimate the time that will be needed and the cost of the job, but this could increase if unexpected complications arise. These contracts are often arranged via monthly payments which vary in line with how much is included in your cover. For example some will only cover your boiler while others also include the controls, radiators, drains and plumbing. They may also include annual servicing of your boiler or even protect you against accidental damage. Only a Gas Safe registered engineer can diagnose your broken boiler, but we’ve put together some of the most commonly reported faults which can cause your heating system to fail. Common issues with boilers begin with airlocks, broken diaphragms, motorised valve failure, low water levels or thermostat problems. It may be that parts need to be replaced. Leaking could be due to a broken seal or pressure valve, corrosion of the pipes or even incorrect installation. 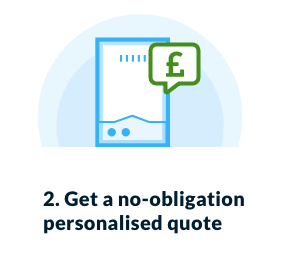 Never try to repair a leaking boiler yourself – you will need to contact a Gas Safe registered engineer to ensure the issue is fixed safely. Banging or gurgling could be caused by air trapped in your heating system or pump failure. A high pitched noise like a kettle boiling could be due to a build up of limescale or sludge in the system which restricts water flow in the heat exchanger causing it to overheat or boil. This could be related to the gas supply so it’s a good idea to check any other gas appliances you have before deciding the boiler is the issue. If the boiler is the only issue, it could be something like a broken thermocouple or a draught blowing out the pilot light. Remember that you should never carry out and work on your own gas boiler; get in touch with a Gas Safe registered engineer to carry out the repair. Low pressure can prevent a boiler from functioning properly. This could be caused by a leak in the system, a broken pressure valve or recently bled radiators. You can try adjusting the pressure on your boiler but if you’re not comfortable doing so you should contact a Gas Safe engineer. Your boiler will have pipes which transport waste water away into an outside drain. If the pipe freezes in winter this may cause your boiler to stop working. A broken thermostat may be inaccurately adjusting your heating or turning the heating off when it’s not supposed to. If you’re sure your settings and scheduling are correct, it may be time to invest in a new thermostat. If only parts of your radiator (e.g. just the bottom) are getting hot you could have a build up of sludge or air trapped in them. You should be able to remedy the problem by bleeding the radiators. If your boiler keeps switching off then there is a very good chance there is an issue with the water pressure which may be caused by a broken component such as a closed valve or pump. To accurately identify the cause of your broken boiler we recommend calling out a Gas Safe registered engineer to take a look. Sometimes a broken boiler will display what’s known as an error code or fault code. Depending on which brand and model of boiler you have this will indicate what’s wrong with your boiler and, in some cases, may even suggest a way to rectify the problem. Your boiler manual will include all the possible fault codes for your particular boiler. If you don’t have the boiler manual anymore, you can request one from the manufacturer. Here are some examples of fault codes for the UK’s leading boiler brands. This list is not intended to diagnose your boiler as they may not be applicable to the specific model of boiler you have, but it gives you an indication of the range of issues a boiler can develop. These are a sample of common errors, please find the full list of Worcester Bosch error codes here. These are a sample of common errors, please find the full list of Baxi error codes here. These are a sample of common errors, please find the full list of Ideal boiler error codes here. These are a sample of common errors, please find the full list of Vaillant error codes here. These are a sample of common errors, please find the full list of Vokera error codes here. These are a sample of common errors, please find the full list of Glow-worm error codes here. These are a sample of common errors, please find the full list of Ferroli error codes here. These are a sample of common errors, please find the full list of Potterton error codes here. These are a sample of common errors, please find the full list of Viessmann error codes here. These are a sample of common errors, please find the full list of Alpha error codes here.